Verbier is located in the ski region of Les 4 Vallées - in the Valais area of Switzerland close to Martigny. 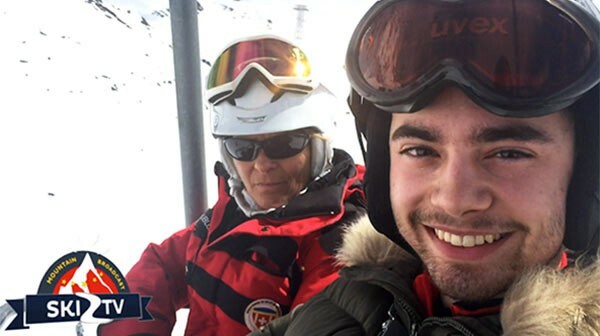 Verbier for first-time and existing skiers with a disability – A taster of how this ski resort can help provide you with a memorable holiday and ski experience; building self-confidence, learning new skills and offering a place for rehabilitation, rejuvenation and relaxation. Perched on a sunny plateau in the heart of the mountains, with its slate-roofed chalets, Verbier has carefully maintained its charm as an alpine village. This is the gateway to the 4 Vallées ski area – with nearly 100 lifts and more than 400 km of ski runs for all levels of expertise at your feet. The Mont-Fort, the highest point of the ski area (3,330 m), offers a panorama over the Matterhorn, the Combins and the Mont-Blanc ranges. A freeride paradise, the resort is a must for skiers and snowboarders from all over the world, and its après-ski and aperitifs are a veritable institution on terraces where a cosmopolitan clientele of all generations is to be found. While this resort is a true paradise for winter sports, its summer options are just as appealing and are an open invitation to endless discoveries. The resort is a huge adventure playground for those skilled at mountain biking. The ski lift network makes it possible for everyone to appreciate the beauty of the mountains. Other sports are naturally also plentiful and be it on land or in the air, you’ll find whatever you need in Verbier. For more information on the resort itself we suggest you look at the excellent website of the Tourist Office. This resort is not flat and may not suit all wheelchair users or those with limited mobility. There is one new hotel which has direct access to the ski slope and is very close to the cable car. There are a other wheelchair accessible hotels but do check exact location so that you don't have any difficulty in accessing the ski area. 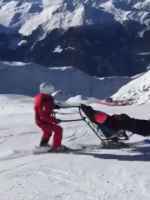 We are very fortunate in having a number of local experts in Verbier who are more than delighted to chat with you about any specific needs regarding your disability and ski activities or non-ski activities. 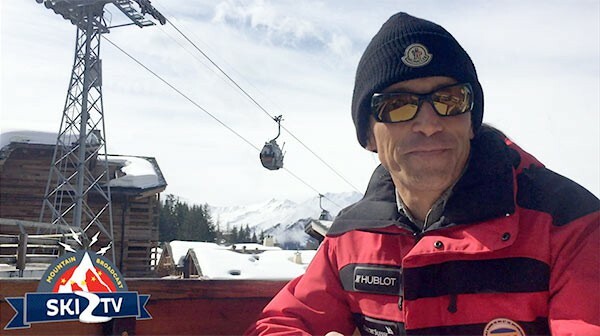 One of these is the renowned Jean-Yves Michellod - sit-skier and also runs an excellent taxi service. Accessing the mountain restaurants and meeting up with family and friends is an important part of having a totally inclusive holiday. Some of the gondolas or chairlifts take wheelchairs and for non-skiers this is a great opportunity to go up and join in the fun. A pedestrian pass normally available from the ski lift office and the tourist office will be delighted to help with other activities. (This may well give you access to other facilities within the resort). If you, a friend or family member have any of the following then Verbier might work brilliantly for your ski or summer holiday. This is by no means an exhaustive list (it would be impossible to include every condition) but many have similar or common factors. As often someone may have a condition that we have not yet come across please do ask us if you are interested in the resort and we can try to help. For more information on mountain activities in Verbier please contact us. A superb ski school and highly recommended especially for guided sit-skiing. Charlotte Dischinger is fabulous with all types of conditions and such a great person! Patrick Gabioud also is an excellent guide for the dual-ski. To get a better idea and understanding of the ski resort of Verbier and what else they can offer you for your holiday, we suggest you look up their website as every Tourist Office offers a fascinating and exciting insight into what they and the surrounding area can offer visitors. In addition many have a dedicated website or page for those who are in need of assistance, disabled, with young children and babies and those of us just getting on a bit in life! We are delighted to work with and have the support of the following organisations in Verbier. An excellent and highly recommended company to help you find suitable accommodation in Verbier - they have known the resort for many, many years and have been enormously supportive to Ski 2 Freedom - Mountains 4 All. 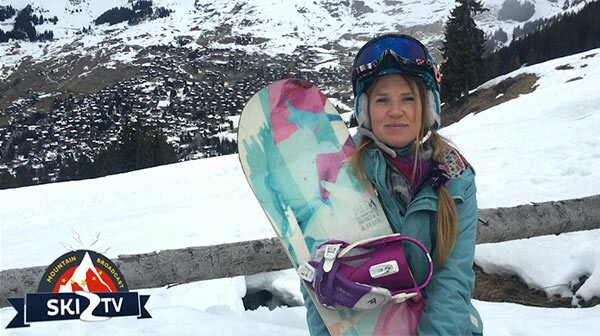 The following are delighted to share their experiences with you on how Verbier was able to assist and empower them to have a life enhancing winter and ski holiday. If you would like to speak directly with one of our beneficiaries please contact us so we can put you in touch – sometimes sharing a similar condition can be most reassuring especially for first timers! All the news, feedback articles and press releases illustrate how Verbier helps to enhance people’s lives. 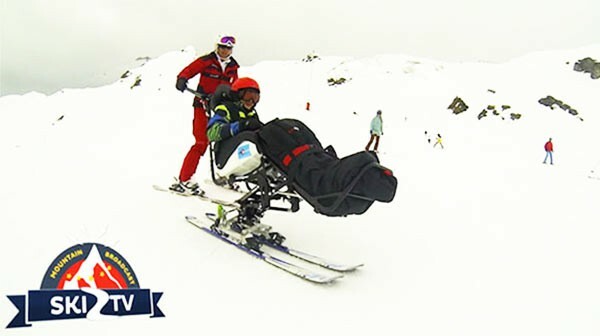 Also, in many cases, showing how Ski 2 Freedom works in close association with Verbier to help raise awareness of the empowering benefits of mountain activities such as skiing and promoting accessible, social and inclusive tourism. If on reading our Verbier page, you have your own experiences and feedback of the resort (winter or summer) that you would like to share or feel would be encouraging to others, please do not hesitate to send them to us for inclusion on both our website and social media – photos and film clips also welcome.